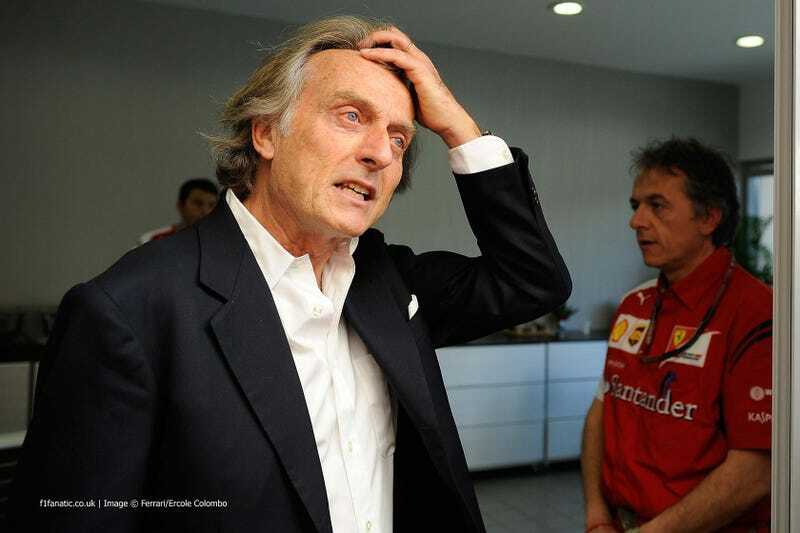 Montezemolo: "Senna Would Have Ended His Career at Ferrari." In a quote with Ferrari's website, Luca recounts his dealings with Ayrton, but how well can we trust his statement after Ferrari ultimately rigged their polls about the 2014 Formula 1 season's lack of appeal in an attempt to counter their losses? He wanted to come to Ferrari and I wanted him in the team. When he was in Italy for the San Marino Grand Prix, we met at my home in Bologna on Wednesday 27 April. He told me he really appreciated the stand we had taken against the excessive use of electronic aids for driving, which didn't allow a driver's skill to shine through. We spoke for a long time and he made it clear to me that he wanted to end his career at Ferrari, having come close to joining us a few years earlier. We agreed to meet again soon, so as to look at how we could overcome his contractual obligations at the time. We were both in agreement that Ferrari would be the ideal place for him to further his career, which to date had been brilliant, even unique. Unfortunately, fate robbed all of us of Ayrton and Roland Ratzenberger over one of the saddest weekends in Formula 1 history. Of Senna, I remember his kindness and his simple almost shy nature, which was in complete contrast to Senna the driver, a fighter always aiming for the best." And even if Luca was telling a bit of truth, why bring this up now? Could Luca di Montezemolo be hinting that today's overly complicated cars (that Ferrari coincidentally don't happen to be up to speed with) are similar to the active cars of 20 year ago? It doesn't seem that far of a step. What ever you think of Luca's real motive, there is no denying that the quote "Senna Would Have Ended His Career at Ferrari," benefits Maranello during this time of remembrance.